Local emergency management officials in Santa Rosa, Okaloosa and Walton counties are monitoring Invest 90L, a storm system currently situated over the Yucatan Peninsula. The system has a 90 percent chance at development into a tropical depression or tropical storm over the next five days, according to the National Hurricane Center. But regardless of formation, forecasters say the storm is expected to dump between 4 to 7 inches of rain, with potentially 9 to 12 inches in some places, over Northwest Florida from late Saturday into Tuesday. 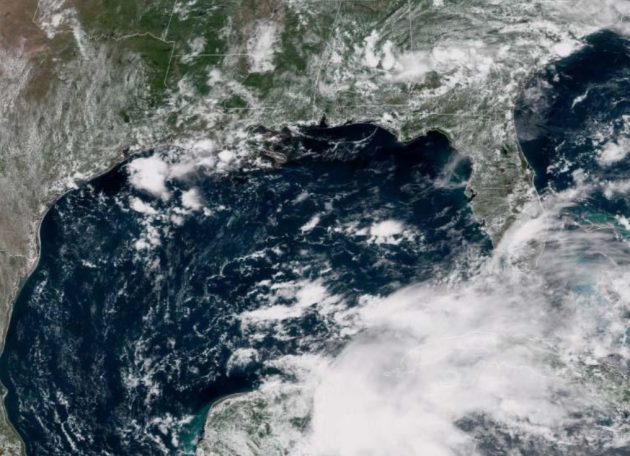 According to the latest update from the NHC, a subtropical or tropical depression is likely to form by late Saturday over the southeastern Gulf of Mexico. Though its exact path isn’t 100 percent clear, storm models continually put its landfall somewhere between Panama City Beach and Mobile. The threat of rip currents will steadily increase along the Gulf coast from Florida westward to Louisiana over the Memorial Day weekend, the NHC reports. A flash flood watch has been issued starting Saturday evening through Tuesday evening for portions of Alabama, Northwest Florida, and southeast Mississippi, according to the National Weather Service in Mobile. Walton County is not currently under a flash flood watch, but Santa Rosa and Okaloosa counties are. This information will likely change through the weekend. In Santa Rosa County, Emergency Management Operations Chief Tom Lloyd said police, fire, EMS and 911 call centers have been “staffed appropriately” for the weekend, and the lifeguards and Sheriff’s Office have been involved in conference calls with emergency management to prepare for any impacts the storm may bring.